We all know how important typical health insurance is, but did you know that disability insurance is just as important? In the event that you are hurt on the job, and cannot work, disability insurance will give you peace of mind-you will still able to provide for your family. While we would like to think that we always work safely, accidents do happen and you need to be sure that you have every angle covered in the event of an accident. If you become ill or injured on the job and as a result you are unable to return to work, there are a couple of options that will replace lost income. These types of disability insurance are not going to fully replace your income because they want you to have an incentive for returning back to work once you get well. Social Security benefits are paid to you when your disability is expected to last for at least 12 months. Most of the time this is when no gainful employment can occur and you must remain out of work for the entire duration of your leave. Employer-paid disability is required by almost every state in the United States. This type of disability insurance is deducted from your paycheck, and is there for you in the event of an accident. When you are looking at disability insurance policies, it is important to understand what they mean. 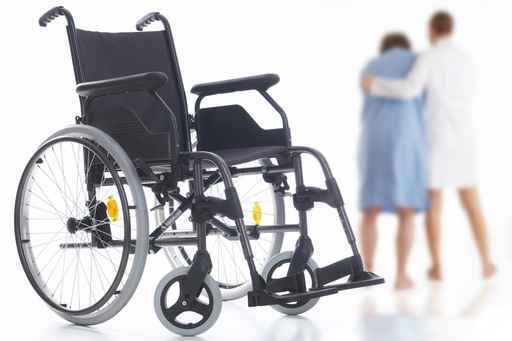 While the two available policies are both for disability, they both cover a different amount of time you will be covered, and when you will start receiving your compensation. A short-term disability policy means that you will be covered for no longer than 2 years. With this policy you may have to wait up to 14 days before you start receiving compensation. A long-term disability policy is a little different. The disability compensation will not kick in for several weeks, sometimes a couple of months. However, long-term disability will cover you for a longer period of time, and sometimes for the rest of your life. Along with having the two different types of insurance policies, there are also two different protection features. Protection is offered to you to ensure that you are not going to be treated unfairly due to your inability to work. Non-cancelable means that for no reason other than not paying your premiums can your policy be canceled. With this type of policy you will lock in your premium and will not risk a decrease in the benefits. On the other hand, a guaranteed renewable policy means that the same benefits will be available every year. The only way that your premium will be increased is if every policyholder within the same rating class as yourself increases also. While there are many options when choosing disability insurance as well, these are the most popular selections. It is important to discuss all available options when choosing a disability insurance policy to ensure that you know what you will receive in the event of an accident or illness. Research your options to find the best choice for you and your family.